A glorious tribute to a woman who dared, defied, and defended her truth. A must-have. Prehistoric beasts are an evergreen favorite among kids, and this wonderful combination of art, poetry, and science is a great addition to libraries. A fun modern take on the big bad wolf. The colorful visuals warmly convey the drama and excitement of the enjoyable text. Recommended for most large collections, particularly those in need of engaging interpretations of classic myths. A fun addition to any collection—especially libraries with fans of the earlier titles in the series. A sweet, simple friendship story that will have wide appeal. 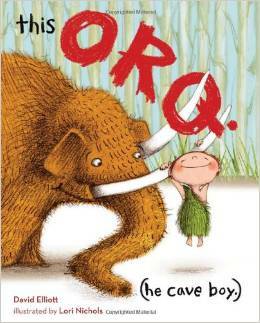 Recommended for all collections, especially libraries where This Orq: (He Cave Boy) (2014) has a particular fan base.